Manual Raise Arm Barriers are a low maintenance, cost effective way of manually controlling access to unauthorised areas. We offer them in spans of up to nine meters. They are a very easy product to use and have many features as standard designed to assist the operator. The barriers can be locked in both the open and closed position. Manual Raise Arm Barriers are a low maintenance, cost effective way of manually controlling access to unauthorised or controlled areas. We offer them in spans of up to 7 metres (Standard Model). The pivot assembly is made of steel box section, the zinc plated shaft pivots on two heavy-duty stainless-steel bearing blocks. The design of the TP5000S incorporates a locking mechanism, allowing you to fix the barrier in the raised or lowered position prior to applying the padlock. A counter balanced fish tail weight is fine tuned for ease of operation. The TP5000S comes complete with a lockable end rest, padlock and keys. Standard Colours: Red/White or Yellow/Black. Manual Raise Arm Barriers are a low maintenance, cost effective way of manually controlling access to unauthorised or controlled areas. We offer them in spans of up to 9 Metres (Heavy Duty Model). The pivot assembly is made of steel box section, the zinc plated shaft pivots on two heavy-duty stainless steel bearing blocks. 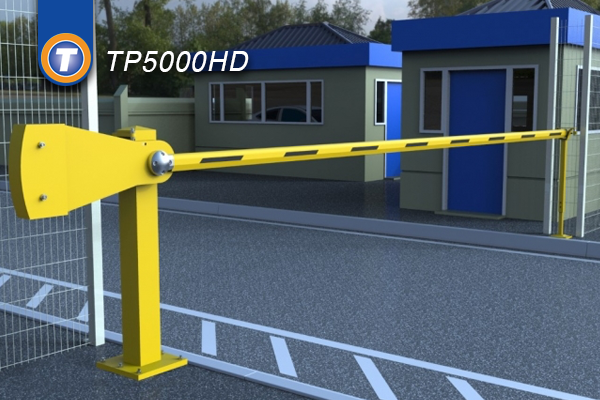 The design of the TP5000HD incorporates a locking mechanism, allowing you to fix the barrier in the raised or lowered position prior to applying the padlock. A counter balanced fish tail weight is fine tuned for ease of operation. The TP5000HD comes complete with a lockable end rest, padlock and keys. Aluminium arm, finished in either alternate red and white or alternate yellow and black vinyl hatching as standard. (other colours available). 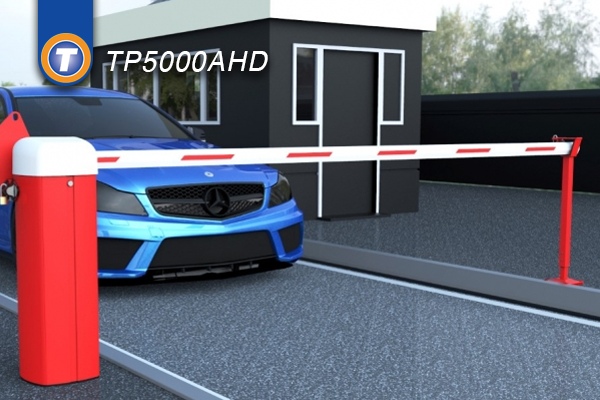 Standard Colours: Red/White or Yellow/Black..
Manual Rise Arm Barriers are a low maintenance, cost effective way of manually controlling access to unauthorised or controlled areas. We offer them in spans of up to 7 metres. (Standard Model). They are a very easy product to use and have many features as standard designed to assist the operator. Typically used in commercial applications, our manual barriers are very popular due to their unique design. 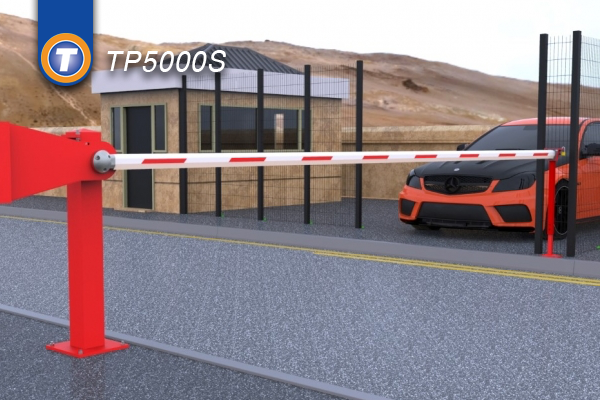 Our design has many advantages over other models, just one advantage is that the new sleek design matches our successful automatic barrier range. Manual Rise Arm Barriers are a low maintenance, cost effective way of manually controlling access to unauthorised or controlled areas. We offer them in spans of up to 9 metres. (Heavy Duty Model). They are a very easy product to use and have many features as standard designed to assist the operator. Typically used in commercial applications, manual barriers are very popular due to their unique design. 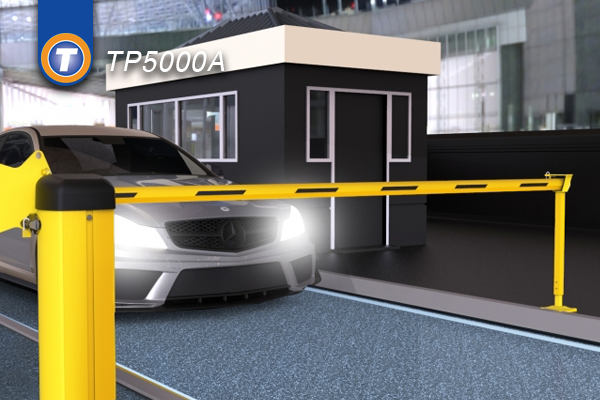 Our design has many advantages over other models, just one advantage is that the new sleek design matches our successful automatic barrier range.